Gentle reader, do not fear for the safety of Arthur: in a blatant abuse of artistic licence I have left out the armchair against which the boxes have come to rest. This is Arthur’s new favourite place from which to watch the football; he is a Sunderland fan, for reasons that are currently unclear. 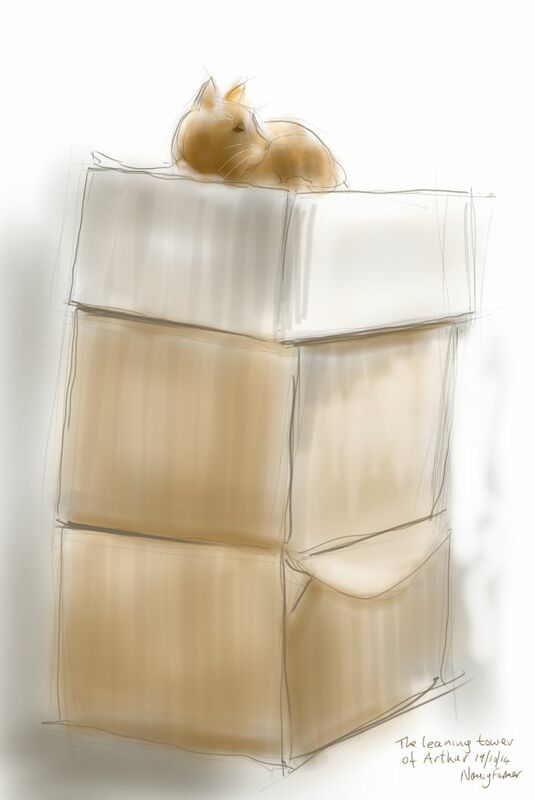 This entry was posted in Cats and tagged art, arthur cat, cardboard box, cat, cat drawing, cat-of-the-day, ginger cat, illustration, sketch, tablet sketch on October 19, 2014 by Nancy Farmer.